United States involvement in World War I has never been memorialized on a coin from the U.S. Mint. New legislation recently introduced seeks to address that by requiring the Secretary of the Treasury to strike silver dollars in commemoration of the centennial of World War I. The bill, H.R. 2366, is entitled the World War I American Veterans Centennial Commemorative Coin Act. It was introduced in the House of Representatives on June 13, 2013 by Rep. Doug Lamborn (R-CO) with Rep. Emanuel Cleaver (D-MO) cosponsoring. Under the terms of the legislation, up to 350,000 silver dollars in proof and uncirculated qualities would be struck with designs emblematic of the centennial of America’s involvement in World War I. The commemoratives coins would be issued in 2018 to honor the 100th anniversary of the signing of the armistice with Germany which ended World War I. Previous commemorative coins produced by the U.S. Mint have acknowledged the United States’ involvement in other military conflicts, including the American Civil War, World War II, the Korean War and the Vietnam War. However, no commemorative has ever been issued to honor the veterans of the First World War. World War I was fought predominantly on the European continent. Hostilities tied to the conflict started in 1914 but the United States did not officially enter the war until 1917. The armistice ending it was signed on November 11, 1918. 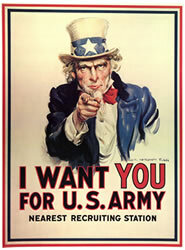 It is estimated that more than four million men and women from the United States served in uniform during World War I. Of those, two million soldiers served overseas. Worldwide, over nine million soldiers lost their lives in the war. The World War I American Veterans Centennial Commemorative Coin Act calls for a design competition to decide both the obverse and reverse imagery for the commemorative coins. An award for the winning design of no less than $5,000 would be offered. That winning design would get selected by an expert jury chaired by the Secretary of the Treasury along with 3 members from the Citizens Coinage Advisory Committee and 3 members from the Commission of Fine Arts. Surcharges of $10 for the sale of each silver dollar are outlined in the legislation. These surcharges would be forwarded to the World War I Centennial Commission. A similar bill was introduced last year in the House of Representatives but it died in committee. The newest version has been referred to House Committee on Financial Services. For the World War I American Veterans Centennial Commemorative Coin Act to become law, it must pass both chambers of Congress and get signed by the President of the United States. Great! A year after the very last WW-I Veteran, in the whole world, dies, some clown decides it’s a good idea to honor their service. Dumb! Dumb! Dumb! So, given that it went from July, 1914 to November, 1918, it will be another four years before anything gets done! Kennedy gets whacked, and a coin comes out, a year after his death. Almost a hundred years after the first world war, we have this to remind U.S. about what? I’m just saying. A perfectly suitable subject and time to honor it. The 100th anniversary of the end (not the beginning) of a war. Admittedly lately we’ve had a spate of military oriented commemorative coins and a couple were probably over due, but this one fits. Suitable, 10-20 years ago, when those whom fought the war could see they were not forgotten. Now, after no one is left, this turns out to be a “feel good” gesture to salve over, guilty consciences. Ask anyone under the age of 35, when the first world war was fought, how did it start and which belligerents were on each side. Blank stare, open drooling mouths and dumfounded looks are all you will get. I am kind of mixed on this one. It is the 100th anniversary of the end of that War and worth noting. I agree it would have been a nice token for the remaining soldiers to have been here for it – but that is asking a lot. There have been a rash of War related commemoratives of late though. sean7k – your rant against war is kind of fruitless when discussing a war that has been over for nearly 100 years. You should find some current posts on the apparent war efforts in Syria and rant away. Rod thank you for your efforts to bring this coin to the public. A&L thank you for your service! Stay strong! The Sedition Act of 1918 was a huge loss of civil liberty, something that happens every time we enter a war. At present, we are restrained by the “patriot act”, the NDAA and the rise in NSA surveillance. Phelps, if you fail to recognize the dangers of war and jingoism, then you fail in YOUR responsibility as a citizen- a responsibility that determines the quality of liberty and justice we all desire. Syria is not our battle, yet we provide arms and materials, both secretly (via Libya) and openly, using rebels as proxies for the benefit of Qatar and Saudi Arabia. Is this how you want your tax dollars spent? Until “The People” say no!, wee will continue to create a world of destruction and debt. Your dismissive argument is an insult to intelligence and responsibility. I’m 25, and yet I know WW1 quite well. My question to you do you know who actually started the war? Most people just assume Germany. It wasn’t. sean7k – my dismissive comments are in regard to your complete lack common sense. I fail to see how your obnoxious posts are gaining support for your position. This coin is an attempt to honor those men and women who fought in WW1 – not a battle that is currently being fought somewhere in the world today – but one that many gave their lives in. Your dismissal of these people as pawns is an insult to them and their families. They fought and many died to allow you the forum to vent your political views. I suggested you vent in a forum that is currently an active topic for debate – and one that will let you possibly change the outcome – since your not going to change what happened nearly 100 years ago. My obnoxious posts, as you call them, are an attempt to illuminate and educate. We can do nothing for the people that were conned into fighting Europe’s folly. However, by glorifying their sacrifice, we encourage the youth of today to sacrifice their lives- for NOTHING. If you’re concerned about insulting them, why not have a commemorative of Gen MacArthur and Gen Patton running them to ground during their march on Pennslyvania avenue to address their starvation and homelessness. Ignorance of history is what allows its’ repetition. I would suggest that the point behind a commemorative regarding WWI, is to honor the men and women who served in that war. It does not necessarily mean that WWI is being celebrated, only that those who served are not forgotten for their sacrifices! Many could claim equal disgust at honoring Civil War veterans, especially those who denigrate the Southern soldiers for their stand. Frank Buckles, a relative of mine, was concerned that the services of his generation, would be forever forgotten. They served then, as Americans do today, because their country called them to serve. Please respect their patriotism to do so! Your relative was the inspiration for the coin. I followed his story closely and wept when he passed away. He was a true patriot. I would love nothing better then to make sure that you and your family receive the very first coin minted. I am most humbled and honored by your support. Thank you Mr. Gillis for your kind remarks regarding Frank Buckles. He was, indeed, a remarkable man. I have never met his equal. Frank was a stalwart champion in preserving the National WWI Memorial in Washington, D.C., so that the Doughboys would always be remembered for their services. Alas, it was a battle he did not live long enough to win! Victor – I completely agree. Frank Woodruff Buckles struggled for years until he was 110 years old in an attempt to have WWI recognized, and our politicians let him die without completing any legislation to help him. Shame on them. Victor, do not assume the younger folk do not care nor know about events of the past, such as WWI. There are some of us, still even in highschool, who are dedicated to learning and understanding history. WWI (1914-1918) between the Allied (Britain, France, Russia, USA & others) and Central (Austro-Hungary, Ottoman Empire, Germany & others) powers, caused by militarism, secret alliances, imperialism and nationalist attitudes and sparked by the assasination of Archduke Franz Ferdinand, was a major internationally reaching conflict and key element of the 20th century that we should work to never forget. Very late to leave a post, but as long as it’s open…the Peace dollar stood for the end of the conflict (not that there was peace in Europe) so in a sense we’ve already had such a commemorative. Do we need another one? We’re big on 100th anniversaries.